Reception for The Amazing Spider-Man (2012) was pretty mixed, which perhaps serves to explain why the enthusiasm for the sequel The Amazing Spider-Man 2 (2014) has not exactly been at fever pitch. Personally, I enjoyed the first film at the time. But I don’t really look back on it with much fondness, simply because in retrospect I just feel it did everything Raimi’s first Spider-Man film did, but in a far less enjoyable way. All that said, I was still moderately looking forward to this film, albeit I was a little concerned at the prospect it would fall into the too many villains trap that plagued Spider-Man 3 (2007) terribly. Whilst too many villains is not really the major issue with the film, unfortunately that terribly lame joke I made on twitter above pretty much encompasses my feelings on this film. It is clearly well made and is a polished piece of blockbuster work. But it is far from amazing and in this world of ever increasing Marvel Cinematic Universe quality and consistency, this film is downright average in comparison. The plot is totally tired, refusing to take any of the risks that films like Captain America: The First Avenger (2011) or Iron Man 3 (2013) take with their narratives. Peter Parker is graduating high school, having trouble with his missus as he is haunted by a broken promise he made to her father, fighting various bad dudes you will have seen from the trailer and NY is having the good old vigilante/superhero debate on talkback radio. It takes a bloody long time to do all that though, clocking in at a bloated 140 mins. It felt that long and more, starting with a really unnecessarily long prologue that is a definite taste of what is to come. One thing the first film in this series, and even more so the trailers for that film, did well was insert some nice humour into the script and the characters. This film though, with a pretty weakly written script, bombs hard on that front. Peter Parker/Spidey’s one liners that are meant to zing just make you want to kick the character in the face they are so deplorable. Actually for me to call the script weak is a little unfair. Aspects of the film are really well written, especially the on and off again relationship between Peter Parker and Gwen Stacy. As a romance, the film is surprisingly successful for the most part, and a lot of that is down to the writing of that aspect of the film. Whilst my overall impressions of The Amazing Spider-Man 2 are pretty unenthusiastic, there are parts of the film that are really good. There are a bunch of performances that deserve to be in a much better film. 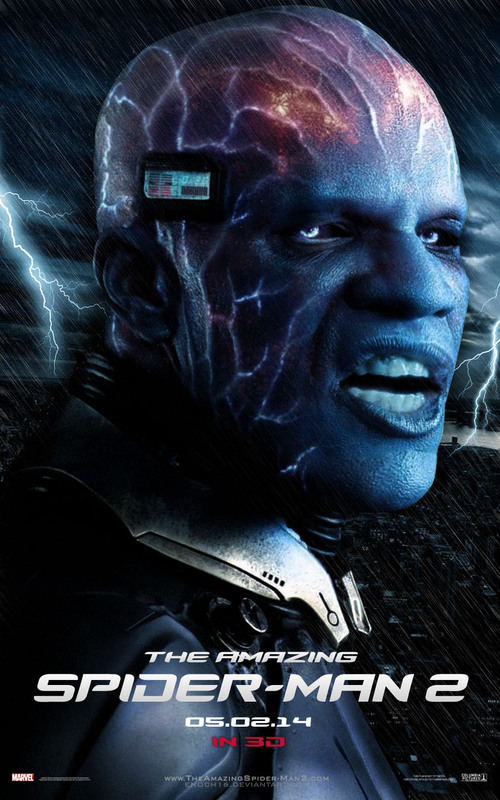 Jamie Foxx is great as Electro and whilst I didn’t feel like the film needed less villains, it would have still been nice to see this character get more screen and character time. The use of CGI for this character is pretty special, managing to somehow still capture so much of Foxx’s performance and attitude whilst still being incredibly arresting and otherworldly to look at. Dane DeHaan is likewise really good as Harry Osborn, although he does struggle to get the tone right in various sequences. Although again, you could apportion plenty of blame on that front to the writing of his character. Emma Stone has her usual spirit as Gwen and does well to elevate her scenes with Andrew Garfield who is neither terrible nor particularly charismatic as Peter Parker. I won’t give away the huge plot twist/spoiler that comes toward the end of the film, although if you have managed to avoid it you must have been living under a rock with only sporadic internet access for the past year or so. There seems to have been very little attempt to keep it a secret. But just on that big twist, I will say that it is horribly foreshadowed early in the film and I also think that it a really cheap ploy after what has led up to it. Those criticisms aside, I think the whole sequence is delivered incredibly well and works on that level. I would be keen to get your spoilery thoughts on all of that in the comments. 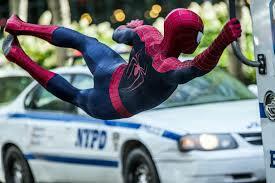 You have probably already decided long ago whether or not you would be catching The AmazingSpider-Man 2. But if you were at all on the fence about it, my suggestion is that it is not really worth your time. In this golden age of comic book films, this has very little to offer you. It brings nothing new or exhilarating, and everything else has been done better elsewhere. Related beermovie.net articles for you to check out: Worth Watching July 2012 and Captain America: The Winter Soldier. I’ve had some serious concerns about this thing from the very first trailer. I’ll still see it but my hopes aren’t high! Yeah agreed, the trailers did not give me too much confidence and that was reflected in the end product. I’ve grown up with Spiderman; loved it since the first Spiderman film came out by Sam Raimi back in the day. Lucky you having managed to avoid that big spoiler mate. We disagree on this one, but I agree that the first Raimi Spider-Man film was really, really good. I have pretty much the same feelings as you on this. Nice performances but shame the script crams too much in to really give the characters the space they need to develop. Yeah spot on. There definitely needed to be some more space in the script for both characters and plot to develop. I’ve never thought this one looked very good…. And you were right sir. I, for one, loved the previous movie, so was reasonably excited for this one. Caught it yesterday and it was fun, but most of the dialog was so horrid! Dialogue was very patchy. Some (but not all) of the Gwen/Peter Parker stuff was decent. But DeHaan in particular got stuck with a lot of dud lines. I quite liked the scenes between Field and Garfield. Totally bought their mother-son relationship (or rather aunt-nephew). I actually thought Foxx got the worst lines. He reminded me a lot of Schwarzenegger in Batman & Robin. Until Marvel somehow gets its hands on Spider-Man to make a movie within the Marvel Cinematic Universe, these will never be good. Sony pumps them out for name-brand recognition and the fat payday that comes with it. The last movie was terrible and I have no hopes for this one once it hits stateside. I know man. I sort of wish that Marvel/Disney would just splurge big money to get Spider-man, the X-Men etc back under their control. These movies are a massive drag. The Sony product placement in this is dire as well (I know it is a part of contemporary big budget filmmaking, but it is particularly noticeable in this). My only real concern with this is the cramming of so many villains into one plot. I don’t know particularly why they have to stuff this film quite so much, but I’m interested to see it play out. As you specifically pointed out, that doesn’t seem to be the film’s major issue. Rather cheesy dialogue and maybe lack of empathy towards Peter Parker. Yeah I definitely think it would have been a stronger film if they focused more on one villain. I mean it is not the major issue with the film, but I think as a general rule, one major villain is always best. I rarely moan too much about sequels and remakes. Plenty of great films come out of them. But like you say, this series of films is massively unnecessary and just smacks of greed, even if there is a relatively decent amount of filmmaking craft behind it. Nice write up Tim. I am going to see this tomorrow, and I really hope that I enjoy it! Thanks for the comment Zoe. Read your review of this the other day.